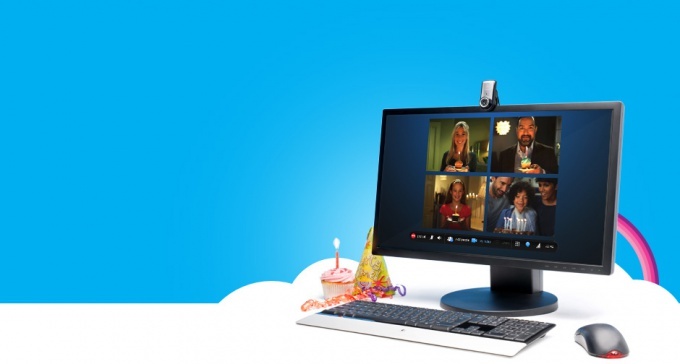 Skype, due to its extensive features, quickly gained enormous popularity among the Internet users. After all, this client not only allows you to exchange text messages, photos, make voice and video calls. Overall, Skype is a simple enough program, but it has many functions that deal with them the first time is not easy. In particular, it relates to photo viewing. What you need to know to quickly navigate this issue? #Through Skype you can just share photos of how it's done via email or ICQ. After starting the program will open a dialog box. Click the tab "Share" and select next step "Send file". Now you can choose any data stored on your computer a photo and send it to your interlocutor. If the file you want to share with you, in the same window where the conversation will be notified about the shipment. Click "Accept", select the folder where you save your photos, and wait for it to boot up. After the download is complete, the file status will change from sent to accepted, and in the same dialog box, you can click "Open file". If you have a video camera, we can do your pictureson your computer. To do this, open My computer and activate the webcam. On the left menu, you will be offered various operations, including "take photo". Look at the camera and click on this option. Photos will be automatically saved in a folder, after which you will be able to review the photos, move them to another folder or send someone from their friends as described above. Pictures in Skype are in the form of avatars, which each user installs (or not) at their discretion. Usually in the dialog panel which contains information about your interviewee and his picture is in a compressed version to make it easier to read text messages. If you want to see the photo larger, just hover your mouse cursor and click on the magnifying glass icon with " + " sign. Then in the same way you can collapse the dashboard to the usual kind. Do not confuse the pictures in the Skype program "Photocap". In the second case we are talking about a separate graphics editor, although the name is consonant, it is spelled differently- Fotoscape.